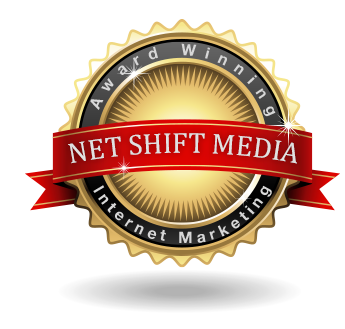 About | Net Shift Media Inc.
Net Shift Media is a full-service, award-winning, professional web site design and web marketing firm in Kamloops, BC, Canada. Being a full-service Internet marketing and design firm means that we don't merely build web sites – we manage your entire web presence including the online marketing and strategy as well as web hosting, development, and general maintenance of the site. You won't need to consult with other agencies or service providers for different parts of your web site, we take care of it all. Our process begins with analyzing your business needs and then putting together a plan to not only create your web site, but also ensure that we are using the most effective strategies in driving qualified traffic to your site, leading to your online success. We are a small team of skilled and experienced web developers. Rather than having separate "web producer", "production support technician", "content manager", or "interface designer" positions, our employees are cross-trained to work in multiple areas of the web including both design, development, project/account management, and server administration. We work with strategic partners to provide offline marketing and communications services when necessary, but we only work with the best to ensure that our clients get the best service and quality. We have many clients located in Kamloops, BC, such as Venture Kamloops, Tourism Kamloops, Kamloops Chamber of Commerce, Thompson Rivers University, CFJC TV, Tobiano, Fulton & Company Lawyers and British Columbia Lottery Corporation (BCLC) but we also work with a number of other international clients such as Teck, Green Pages Directory, and others providing creative web design, web application development, reliable web hosting, and effective Internet marketing solutions.